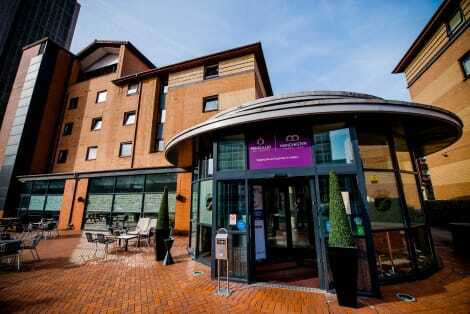 Within walking distance of the famous Old Trafford Stadium and a short drive from Manchester city centre, this 4-star hotel overlooks the water of the upcoming Salford Quays. 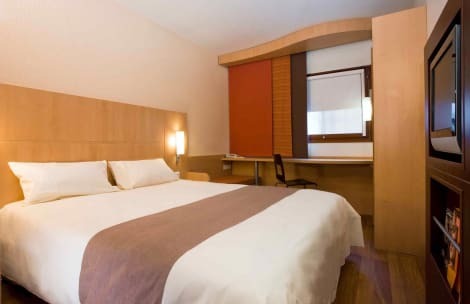 The rooms have a warm décor with earthy natural tones and wooden furniture, as well as satellite TV. There is also a nearby Metrolink tram station, making it easy to explore the rest of Manchester. Fantastic 3 star accommodation in the heart of the city, the Pendulum Hotel is just a few steps away from cultural hotspots such as The Palace Theatre, Bridgewater Hall and Manchester Academy. Bars and clubs are on the doorstep and Piccadilly train station is a few moments away on foot. Convenient and comfortable, on site there is a business centre, restaurant, bar and every room has free high speed internet. 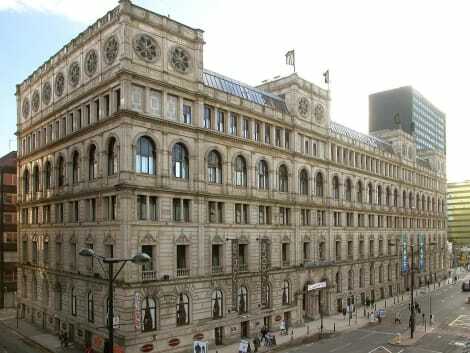 The Grade II listed, 3-star Britannia Hotel Manchester City Centre, is in the heart of the city within walking distance of Piccadilly Gardens. The classic interior has a 24-hour front desk and refreshments are available at the Rogue Bar and Jenny’s Restaurant and Overstuffed Pizzeria. Each room provides guests with complimentary wifi, a work desk, tea and coffee making facilities, and a private bathroom with free toiletries. Welcome to the Townhouse Hotel Manchester. We are proud of our place in Manchester city life from our origins as a cotton warehouse to our reincarnation as a stylish, established hotel. We are part of the vibrancy that Manchester exudes, situated as we are in the heart of this wonderful city. Rest assured for your next business trip, weekend with someone special or an evening with the girls we will make it all come together perfectly. We love romance at the Townhouse Hotel Manchester and so too the weddings and anniversaries that follow. We have 8 function rooms for all occasions from intimate weddings to glitzy birthday bashes. Our selection of flexible spaces is also ideal for city-centre meetings and conferences where our professionalism will match your standards in business. Elegant, contemporary interiors are softened by crisp linen and luxurious touches throughout our spacious bedrooms. Your best night’s sleep is followed by a delicious breakfast before you even think of the day ahead. At the end of a busy day you can return for a light snack, a sophisticated cocktail or dinner by candlelight in 101 Bar or Restaurant. We are here to make life easy for you and we are really good at it. See you soon in Manchester. Where things happen for the modern luxury generation. Stay at The Lowry Hotel and you’re putting yourself at the centre of the action — a five-star contemporary hotel where Salford meets Manchester on the banks of the River Irwell. Here the dynamic spirit of England’s north is reflected in our dynamic bar and restaurant, while you can count on our warm convivial service the moment you arrive. The result? A unique experience delivering luxury, vibrancy and a seductive measure of Northern fun. Part of the prestigious Leading Hotels of The World, The Lowry Hotel has gone through a full refurbishment in 2015. 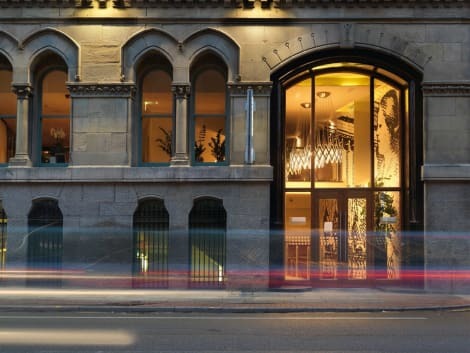 The contemporary 4-star INNSIDE by Melia Manchester sits within the city’s exciting First Street area, by the HOME arts centre and close to Deansgate. Enjoy fine Mediterranean cuisine at the Street on First restaurant, which uses social media to enhance your dining experience, and enjoy a spot of pampering in the Wellness Suite, with sauna, steam room, gym and relaxation area. Each room at the INNSIDE Manchester has a 32” TV, free wifi and private bathroom with rain shower. 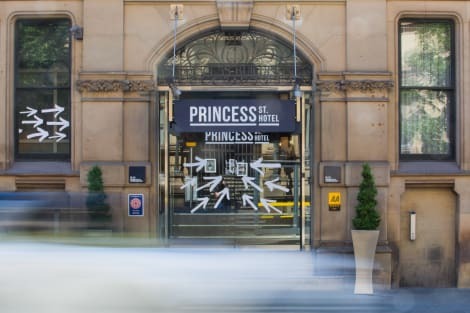 The grade II listed, 4-star Princess St. Hotel (formerly Arora Hotel) sits in the heart of the lively city, a short walk from the Arndale Shopping Centre and Manchester Art Gallery. Inside the hotel, you’ll find a 24-hour fitness centre, a cocktail bar, an Italian restaurant, and free wifi to keep you connected. Smart, en-suite rooms come with a flat-screen TV, and tea and coffee making facilities. 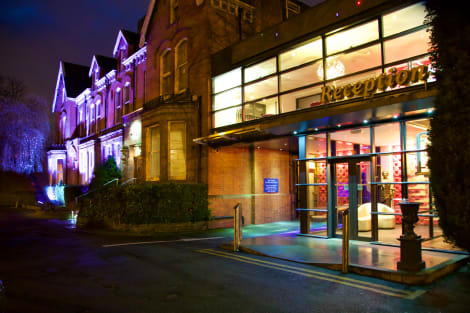 Located in Manchester, Hendham House Hotel is within a 15-minute drive of Manchester Arena and Heaton Park. This hotel is 2.5 mi (3.9 km) from Piccadilly Gardens and 3.3 mi (5.3 km) from Albert Square. 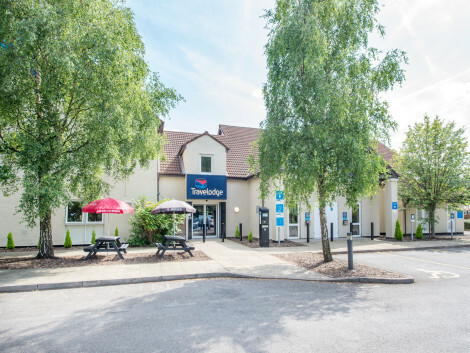 A smart Manchester hotel with free parkingHoliday Inn Express® Manchester - East hotel is near the M60 motorway and a 20-minute bus ride from the city centre.Nearby Belle Vue station connects to Manchester Piccadilly for trains throughout Britain, and Manchester International Airport (MAN) is only a 15-minute drive away. We’re a great base for sports fans, within easy reach of Manchester United’s Old Trafford Stadium, Manchester City’s Etihad Stadium and the Emirates Old Trafford cricket ground. Hunt for bargains at the intu Trafford Centre and catch a show at The Lowry arts centre or the O2 Apollo. For some fresh air, take a walk in neighbouring Debdale Park or try windsurfing and canoeing at the Debdale Outdoor Centre. 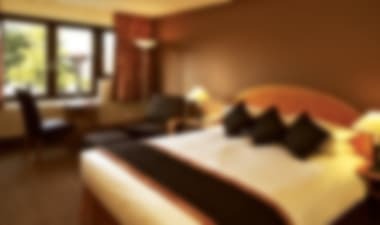 We’re close to numerous city-centre companies and a 15-minute drive from the Manchester Conference Centre.At this hotel you can enjoy:- Free WiFi- An inclusive Express Start™ Breakfast- Sofa beds for familiesAfter a day out, order a pint and meal from the bar and chat with colleagues or watch TV sport in the spacious Great Room. Welcoming guest rooms offer a quiet retreat with blackout curtains, a walk-in shower and a comfortable bed. 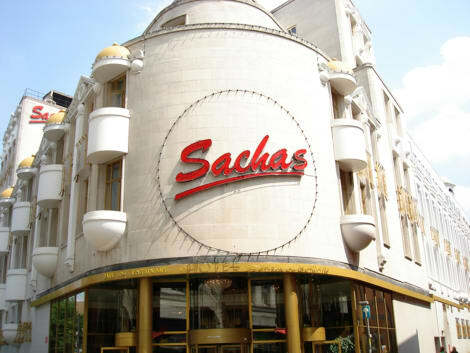 The smart 3-star Sachas Hotel Manchester is within walking distance of many of Manchester’s popular clubs and bars. 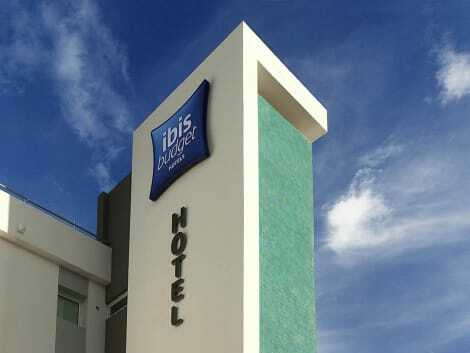 The hotel has 2 onsite restaurants, a bar, steam room, sauna, fitness gym, and wifi is available in public areas. Each of the classic rooms features a TV, tea and coffee making facilities, and a private bathroom. Enjoy a satisfying meal at Campanile serving guests of Campanile Manchester. Wrap up your day with a drink at the bar/lounge. Buffet breakfasts are served on weekdays from 6:30 AM to 11:00 AM and on weekends from 8:00 AM to noon for a fee. 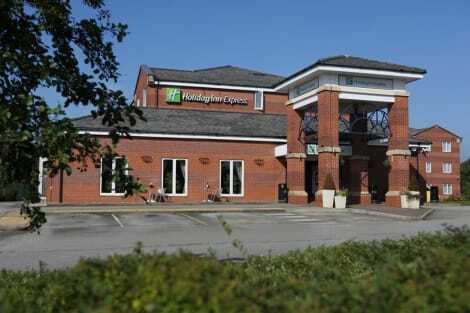 Situated in Fallowfield, The Hallmark Inn Manchester is just a 10-minute drive from Manchester centre. The traditional hotel has modern rooms with free Wi-Fi. Enigma Bar features a comfortable lounge area, and offers a range of light snacks and beverages. Snacks only available Mon-Thu. Each of the bright and airy bedrooms has a satellite TV and a private bathroom with free toiletries. All rooms feature a work desk and tea/coffee facilities. 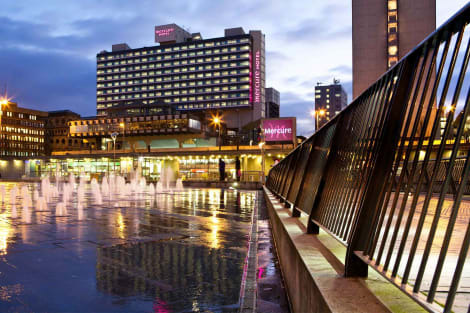 With so many things to see and do, our hotels in Manchester help give you the perfect trip, with both luxury and cheap accommodation on offer. Considered by many to be the capital of the North, this city truly has its finger on the pulse, with a thriving business and media sector, celebrities, fashion, fine dining, sport, arts, and much more. The city is an ideal spot for both the fashion-conscious and shoppers serious about savings. Visit Selfridges and Harvey Nicholls for the latest designer labels or take a trip to Cross Street where you’ll find independent boutiques specialising in clothes and accessories. The Arndale is an indoor shopping centre featuring major fashion brands, an extensive food court and free wifi throughout. A little further out, the Trafford Centre features hundreds of high-street store outlets as well as Selfridges and John Lewis – perfect for bagging a bargain. One of the largest shopping centres in Europe, the Trafford Centre can be reached by car, or regular busses run from the city centre. If you’re looking for something a little different, the streets to the north of Piccadilly Gardens are a treasure trove of independent shops and local designers selling vintage clothes as well as goth, punk, rock, indie and metal styles. Visit Affleck’s Palace in the Northern Quarter for vinyl, posters and comics. Manchester is home to a busy media hub, including offices and studios associated with two major television channels. Granada Television produces a range of classic telly here, from soap favourite Coronation Street to the gritty drama Prime Suspect, and offers seasonal tours of the studio, as well as tickets to live-audience shows including stand-up with Peter Key, Harry Hill and Caroline Aherne. BBC TV recently relocated leading shows including Blue Peter, Dragon’s Den and Match Of The Day. Tours and studio tickets are available throughout the year. Manchester is noted for its excellent theatres. Larger venues include the Manchester Opera House, a commercial theatre that often plays host to touring West End shows, the Palace Theatre, and the Royal Exchange Theatre, a small producing theatre in the former Cotton Exchange. The Lowry also features two theatres running crowd-pleasing musicals including Fame, Stompand Happy Days as well as top comedy nights; previous shows include stand-ups Richard Herring, Russell Kane and Lee Hurst. Head to Proper Tea opposite Manchester Cathedral, an independent tea room owned by TV celebrity Yvette Fielding of Blue Peter fame, for loose teas and homemade cakes. The veteran presenter can often be found behind the till. Teacup café on Thomas Street in the Northern Quarter is run by the legendary DJ, Mr Scruff. Trendy, but with a friendly atmosphere, Teacup even features Mr Scruff’s own tea. Perfect if you’re on a quest for the perfect brew. If you’re looking to treat yourself, visit Michael Caines at Abode, the celebrity chef’s two-star Michelin restaurant. For those that like spice, head to Curry Mile – we particularly like Mughli. Renowned for its musical heritage, Manchester is the birth-place of Factory Records and the legendary Haçienda. Rising to fame in the 80s and 90s, ‘Madchester’ gave us The Smiths, the Stone Roses and New Order to name a few. Visit one of the oldest and most diverse venues is the Band on the Wall, a live music venue in the Northern Quarter district of the city. Built in the 1860s as the flagship pub of a local brewery, it was originally called the George & Dragon. It got its nickname in the late 1920s or early 1930s from the stage high on the back wall. Today it remains a popular venue for jazz and blues acts. Live music fans should check out The Albert Hall, an A Grade II listed Wesleyan chapel. The grand and ornate chapel has been restored into a stunning purpose-built music hall and is set to become one of the most atmospheric music and events venues in the UK. Closed for over 40 years and resurrected by Trof, the people behind Gorilla and The Deaf Institute, as an unrivalled events venue, restaurant and bar. Previous acts have included Bombay Bicycle Club and Bonobo. Head below the railway tracks on Whitworth street and you’ll find Gorilla, a club space and live venue hosting upcoming and big DJs and live acts, not to mention an acclaimed kitchen with award-winning burgers. For massive headliners, the largest indoor arena in Europe, Manchester Arena regularly welcomes top acts like Michael Buble, Justin Timberlake and Miranda Hart (not on the same stage, fortunately). Manchester has a rich cultural heritage displayed throughout museums and galleries. The Museum of Science and Industry (MOSI) celebrates industrial history and houses a large collection of steam locomotives, working machines from the industrial revolution as well as aircraft and space vehicles. It is appropriately housed in the former Liverpool Road railway station, the terminus of the world's first passenger railway. Sitting at the heart of the redeveloped Salford Quays, The Lowry, named after the painter, L.S. Lowry, exhibits his acclaimed paintings of industrial scenes in the north of England and works by other noted artists. The Cornerhouse on Oxford Street is Manchester's international centre for contemporary visual arts and independent film. It has three floors of art galleries, a bookshop, a bar, café and three cinemas showing indie flicks and general releases. Tucked behind Oxford Road in an old mill is the Anthony Burgess Foundation. The author of the acclaimed novel, A Clockwork Orange is remembered here. The Foundation houses a collection of Burgess’s own furniture, paintings and musical instruments, as well as a café, study centre, library and exhibition space which has regular events such as book launches, talks and small concerts. The thriving gay and lesbian scene centres on the famous Canal Street, home of the hit TV series Queer as Folk. Today, Canal Street is as much about café culture as its famous clubs and bars and features its very own VIP card, so you can take advantage of great local deals in restaurants and shops.